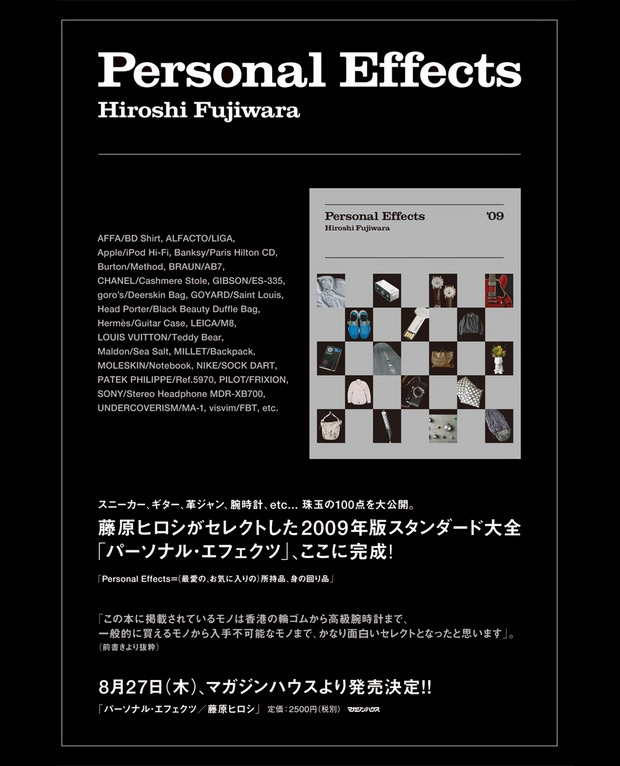 HF, is one of the legends of the Japanese young fashion scene and has had his hands in numerous projects throughout his career which define his greatness such as Fragment design, Burton, Head Porter, Good Enough and Electric Cottage. Hiroshi also famously appeared in the Sophia Coppola film, Lost In Translation and is good friends with many international icons such as Eric Clapton. People in Japan worship this streetwear idol and this book is a sort of representation of that obsession. It promises to be an entire book dedicated to the photographing and discussion of HF's personal possessions. I will be picking it up as it's always interesting to see what products defines HF as a consumer. I feel like in this crazy consumerist world that exists today, the things that consumers choose to purchase directly reflects and defines who that person is. More information on the book here.